Pokemon Announces 2015 Rotation – XY-On! Posted on July 18, 2015 | Comments Off on Pokemon Announces 2015 Rotation – XY-On! The set rotation and format for the 2015-16 Pokemon TCG season has been announced. The Standard Format for the upcoming season will be XY-on, meaning that the remaining Black & White sets; Boundaries Crossed, Plasma Storm, Plasma Freeze, Plasma Blast and the reprint set, Legendary Treasures will all rotate out of the format, in addition to the remaining BW Promo cards. 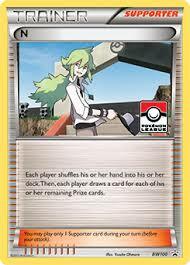 Black star promo cards will rotate to XY01 and higher cards. 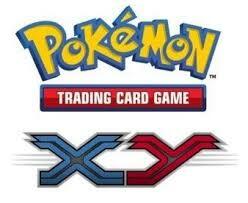 Also included in the Standard format will be all cards in the XY Kalos Starter Set and the XY Trainer Kit. 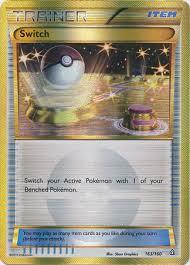 As we’ve pointed out before, Play!Pokemon traditionally rotates the oldest 3 sets each year. This rotation lets 5 sets go, which seems like a lot of cards (which it is). However, it is what we expected and what makes sense, as a cut in the middle of the Plasma sets would have left too many pieces of card “engines”, or basically too may dead cards in play. While last year’s rotation was a lot to sort out and was a bit confusing for those new to the game, this rotation should be more cut and dry and easy to follow. Last season’s rotation was convoluted by various reprinted cards from earlier sets. The only cards that will survive this rotation by way of reprints are some of the staple Trainer cards that have received printings in XY and newer sets. For those of you that are not familiar or are new to the game and have not experienced a rotation before, here’s a quick explanation of “reprints” in the pokemon TCG. Any card, when reprinted in another set that is still legal for play, also stays legal (even if the set it is in is rotated) as long as its name and text are reprinted the same, even if the artwork/picture changes. For example, take a look at the item card “Switch”. All printings are still legal for use, because the only thing that is different on each of the cards is the artwork. Keep in mind that this rotation does not go into effect until September 1, 2015. 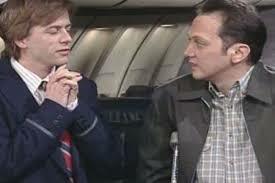 Those of you planning on attending the 2015 World Championships in Boston will still play Boundaries Crossed-Roaring Skies through that event. The 1st set to go with this rotation is Boundaries Crossed. The Gym has found that the following way of cataloging these cards is the easiest reference for everyone. For each set, we’ll list “Trainer” cards that are rotated out, “Trainer” cards that remain in the format, then do the same for Pokemon. Instead of listing all pokemon from each set, we will focus on those that see regular use in competitive play. If any special energy are lost in these sets, then we will list them with the Trainer cards. Here we go. While the list of pokemon that are lost from this set’s rotation does not seem very long, this list contains some very big hitters. Keldeo EX has transitioned from its introduction from one of the best attackers in the game, to one of the best and most versatile “techs” in the game. 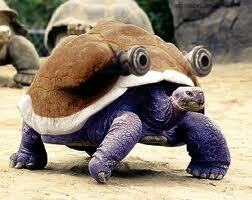 Blastoise/Keldeo/Black Kyurem was (and still is) an amazing deck. After Seismitoad EX ruined the Blastoise half of the deck, Keldeo has still found its way into everything from Steel-type to Fairy-type and even Darkness-type decks, thanks to its “Rush In” ability. The most heavily played pokemon from this set at the moment is Landorus EX (a card many used to be scared to play because of Keldeo EX). Landorus EX leads the way in the heavily played Landorus/Crobat lists circulating at the moment. Landorus also saw a lot of play at last year’s Nats and Worlds in a combo deck with Mewtwo EX and Garbodor. Terrakion has not seen much play lately, but has also proven to be a versatile “tech” in any deck looking to counter pokemon with Fighting-type weaknesses. 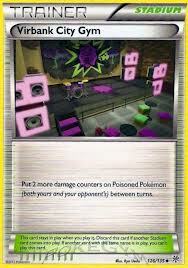 Ditto and Dusknoir, while not staples of the format by any means, still see limited play. The list of Trainer cards lost from Boundaries Crossed also contains a pair of true format staples, as well as several cards that still make their way into some lists. The biggest loss from the set surely is the ACESPEC, “Computer Search”. “Computer Search” is the ACESPEC of choice in at least 80% of deck lists, as it allows you to search for anything, whether it be an energy card or that much-needed opening Supporter card. As far as ACESPEC cards go, this rotation eliminates all of them. We will list the relevant ones by set as we go. Joining “Computer Search” is a Supporter card that has declined in usage lately, but has been one of the most used Supporter card of the last few years. 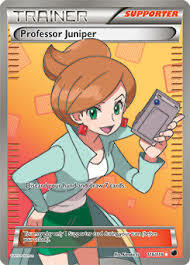 That card is “Skyla”. When “Tropical Beach” was still in the format, most lists played 4 copies of “Skyla”. The remainder of the Trainer cards in this set have their places in many decklists, but none as much as these 2 cards. The 2nd set on the chopping block, Plasma Storm, is the introductory set of the only real theme engine of the current format. Plasma Storm provided the groundwork (which was expanded over the 2 sets that followed its release) for an “engine” similar to that which we saw in Dark Explorers. By “engine”, we mean a set of both pokemon, Trainer cards and energy cards that all worked together to make combinations that are both fast and powerful. Plasma decks would not fully hit their stride until the set after this one, at which point they dominated the format for some time. Here’s what goes with this set. As far as pokemon go, the loss of Donphan probably has the biggest effect on the format. Donphan received huge attack boosts in Furious Fists, making it a far more powerful attacker than was likely ever intended. Being able to hit and run behind various “shields” (like “Safeguard” pokemon and Aegislash EX) allowed Donphan to emerge as one of the only pokemon from this set to survive the releases of basic blocking Pyroar and the item blocking Toad. The only other viable pokemon from this set at them moment is the reliable Cobalion EX, who has doubled as a counter to both special energy heavy decks and “Safeguard” pokemon, as Cobalion EX‘s “Steel Bullet” can hit through any wall. 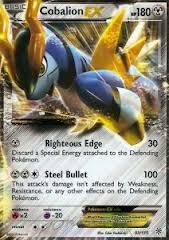 Black Kyurem EX also saw some success recently in Mega Manectric decks as a clean up attacker. The core of Plasma Storm, which is mostly Item cards, pretty much died with the release of Seismitoad EX because of the ease with which it blocks Item cards. 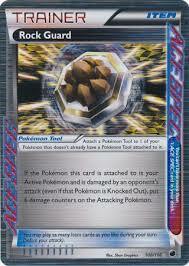 However, the removal of this set takes away a powerful weapon from those who play Seismitoad EX decks. 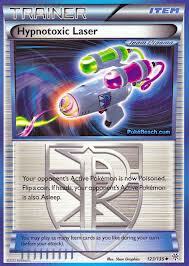 The “Hypnotoxic Laser/Virbank City Gym” combo has added firepower to any deck that can make room for it. While “Laser/Bank” is a luxury to some decks, dedicated Seismitoad EX decks depend on it for damage. Storm is the only set that the Supporter card “Colress” was printed in. Its use has steadily increased over the last 2 seasons. 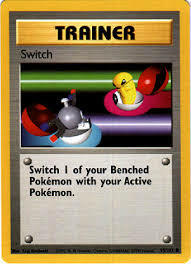 While not used as often, this set’s ACESPEC cards, “Dowsing Machine” and “Scramble Switch” were cards that we at the Gym have enjoyed using in several decks. The 2nd plasma set, Plasma Freeze, completed the plasma engine and gave the format the heavily played “TDK” deck (Thundurus/Deoxys/Kyurem). Again, the releases of Pyroar and Seismitoad EX drove variants of this deck from competitive play. However, some of the small HP pokemon from this set would rise up into the competitive ranks and provide solid counters to decks that seemed to be taking over what was looking to be a very narrow format. Let’s look at what goes with the rotation of Plasma Freeze. There’s not a pokemon listed above that does not make it into at least a semi-competitive deck. While the core plasma pokemon have faded from play, the plasma “Eeveelutions”, mainly Flareon and Leafeon increased their value. Flareon has doubled as both the center of a speedy deck and as an alternate attacker in “Night March” lists. Leafeon proves to be the best counter to both “Primals” (Groudon and Kyogre) as well as Seismitoad EX. 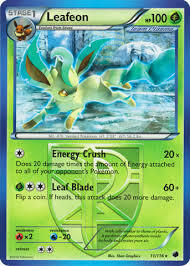 When we play online and grow tired of the endless stream of Seismitoad decks, we simply switch over to our Leafeon/Virizion EX deck and drive opponents into game concessions, as they never seem to stick around to watch this 100HP cat wreck their deck. The other pair of low HP pokemon cycled out with this set are very dear to Gym Leader Joel, namely, Weavile & Exeggcute. Weavile took a nose-dive like all of the other item-dependent plasma pokemon, but Exeggcute still seems to find its way into many lists. The loss of Mr Mime mostly seems to hurt “Night March” decks, which may or may not prove to be viable after this rotation, as that deck loses a few other key components as well. The items that depart with Plasma Freeze, combined with the pokemon mentioned above, make this set’s rotation seem like the biggest blow to the current format. 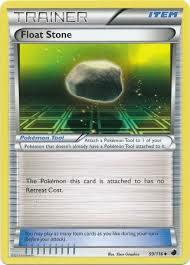 The card that sticks out to us the most is the Item card, “Float Stone”. At a glance it may seem like just another Tool card, but to us its versatility is unrivaled. 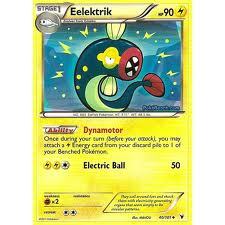 Whether placed on a Keldeo EX to provide that free “Rush In/Retreat” combo, on a Garbodor to lock up abilities or on a bench-sitter to protect it from being caught & stalled, we are always trying to fit copies of this card into lists. Our prized full art “Juniper” cards are lost with this set, drastically reducing our ability to “bling” out our decks. 2 more ACESPEC cards depart with this set. To us, the most notable is “Rock Guard”. To date we have not seen it (thankfully), but even as much as we loathe the existence of Seismitoad EX, we often wonder why those who pilot those decks don’t play “Rock Guard” on their Toad. The tool would be un-removable after a “Quaking Punch” and could often force someone to KO their own pokemon as they attack. Who knows. We don’t play it and are done for this season, so its an idea that is there to be taken or left. The last of the plasma sets to go, Plasma Blast, provided the parts for the powerful, multi-tournament winning Virizion/Genesect deck that has been one of the most dominant decks in recent history. 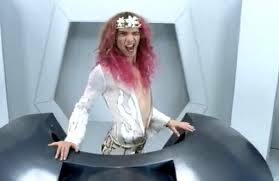 Lets jump in and look at what goes with this one. The loss of Virizion/Genesect is pretty self-explanatory. The deck provided a very easy to follow strategy, allowing new players to be instantly competitive without having to be one of the great minds in the game. For skilled players, V/G was open to tweak and tech to adjust to changes in the format (and still is for that matter). Look at the 2 hideously boring decks that just faced off in the Master’s finals at Nats (Seismitoad EX vs Wailord EX). V/G is the counter/answer to both decks. The Trainer cards lost with the rotation of Plasma Blast don’t have a huge impact to much outside of Virizion/Genesect decks. Blast contains the last batch of ACEPEC cards, presumably that we will every see. 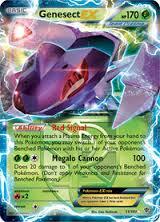 “Scoop Up Cyclone” will surely be mourned by Crobat players. 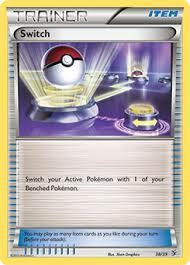 “Silver Bangle” is the only other notable trainer card from the set, which will easily give way to “Muscle Band” in most lists. Plasma Blast contained the last printing of “Professor Juniper”, so it will officially be gone from the format with this rotation. However, perhaps in an effort to reach some sort of gender equality among the Supporter lines, “Juniper” is replaced by “Professor Sycamore” in the XY sets, which does exactly the same thing. If gender equality was the goal, perhaps the hot, redhead female professor should have been supplanted by something other than a long-haired french dude (just saying….). The last of the 5 sets to exit the format with this year’s rotation is the set that made last year’s rotation so convoluted. Legendary Treasures is the set that kept a random mix of both regular and EX pokemon from sets all the way back to the original Black & White set mixed into this last year’s format. Its rotation from the Standard format cleans up the format a bit by eliminating some combos that are perhaps a little bit too good. This long list of pokemon that finally depart the format are almost all reprints. For the 1st time in years, we will see a format with no Mewtwo EX, no Darkrai EX and no Garbodor. We single out these 3 because they have time and time again faded and resurfaced, making appearances in winning decks in far too many major tournaments to note here. Mew EX will be a huge loss to lovers of “Night March” decks. The remainder of those listed above may hold some places as fan favorites, but don’t fill many roles outside of “techs” variations of more popular decks. Legendary Treasures was a great set for new players to pick up when it came out, as it had a much higher pull-rate with good rare cards and EX’s than other sets. However, as a league organizer and writer that has struggled to help people keep up with what is legal for play and what is not, I’m not sad to see the set go buh-bye. We mentioned at the top of this post that BW Promo cards are all rotating out and just wanted to elaborate on that briefly. Last season, the rotation made a cut in the middle of the BW Promo cards. If memory serves, last year numbers BW51 and higher remained legal. This year all BW number black star promos rotate. Most of these cards are reprints as well, usually sold as the feature card in a collector tin or blister pack. The biggest exception to this is the league promo Supporter card “N”. To keep it in play last year, Play!Pokemon supplied a league promo “N”, numbered BW100 (the only time we’ve seen a league card get a promo number). This year’s rotation officially removes “N” from the Standard Format. 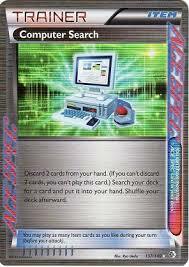 “N” is probably the most universally played card in the TCG. Whether used to help you get started at the beginning of a game, or to try and come back against your opponent late in a match, “N” is easily the most powerful card the TCG has seen since the definition change was made to “Pokemon Catcher”. It will be interesting to see how deck lists adjust to the absence of “N” as we begin the 2015-2016 season. That should about wrap it up for this rotation. The Fincastle Gym Leaders hope that posts like this serve as a helpful guide for navigating yearly card rotations. As we stated earlier, the Standard Format does not rotate until September 1, 2015. Unless event organizers specify otherwise, Premier events will use the Standard Format (XY-on). The 2015-16 season will contain some Expanded Format events. However, we are not permitted to elaborate on that until Play!Pokemon makes their own announcement. Once they do, we will post some helpful info regarding that announcement. Until then, all we can do is remind you that you may want to hold on to some of your cards from these sets, as you will be able to use them during the upcoming season. As always, if you have any questions, feel free to email us or seek us out a league. Thankfully, this rotation is not as hard to sort our as last years. Until next time, see you at the Gym! Comments Off on Pokemon Announces 2015 Rotation – XY-On! Pre-Release Sells Out, New Season Is Here! Posted on August 13, 2013 | Comments Off on Pre-Release Sells Out, New Season Is Here! Comments Off on Pre-Release Sells Out, New Season Is Here! Pokemon Announces 2013 Rotation – Next Destinies-On! Posted on July 16, 2013 | Comments Off on Pokemon Announces 2013 Rotation – Next Destinies-On! Comments Off on Pokemon Announces 2013 Rotation – Next Destinies-On! 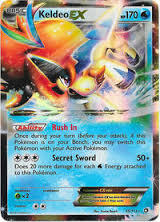 Plasma Storm Pre-Release This Sunday, 2/3/13! Posted on January 31, 2013 | Comments Off on Plasma Storm Pre-Release This Sunday, 2/3/13! Comments Off on Plasma Storm Pre-Release This Sunday, 2/3/13! Congratulations Brycen (v6.0) and Hunter (v8.0)! Posted on January 28, 2013 | Comments Off on Congratulations Brycen (v6.0) and Hunter (v8.0)! Comments Off on Congratulations Brycen (v6.0) and Hunter (v8.0)!